Celebrate the season of joy at The Excelsior, Hong Kong with a range of festive dining options at our selected restaurants, and toast for a bright new year of 2018 at ToTT’s “Golden 20’s” New Year’s Eve theme party. Begin the festive celebrations with scrumptious feasts. With 180 degrees view of Victoria Harbour, ToTT’s and Roof Terrace sets the mood for an indulgent holiday. Priced from HKD 738 per person, Sunday Brunch features free flow of Moët & Chandon Champagne, Freshly-Shucked Oysters, Alaskan King Crab Legs, Roast Beef, and a selection of ToTT’s signature main courses. Feast your eyes with sparkling Christmas lights, and your taste buds with a divine five-course dinner on Christmas Eve or a four-course dinner on Christmas Day at ToTT’s. The Christmas Eve dinner is priced from HKD 1,188, presenting Iberico Pork Jowl with Lobster, Steamed Cod with Abalone Stone Pot Rice, Meringue with Grilled Genoa Figs and more. 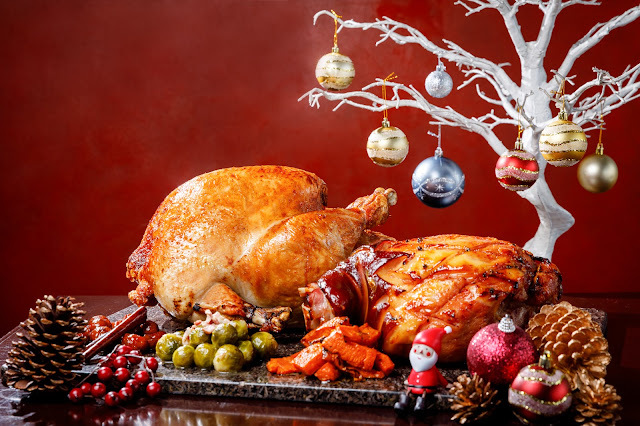 The Christmas Day dinner is priced from HKD 888 per person. It includes Seared Hand Dived Scallops, Boned and Rolled Turkey, as well as Strawberry and Raspberry Eton Mess. Ring in the New Year with the glamour and extravaganza of the “Golden 20’s”. Guests will be taken back in time to the roaring 20’s at ToTT’s on New Year’s Eve. Featuring live music performance in the evening, the top floor restaurant offers a six-course dinner from HKD 2,288 per person, featuring select items such as Gillardeau No.0 Oysters with Watermelon and Lime Granite, Butter Poached Boston Lobster with Foie Gras Sauce, Grilled Wagyu Tenderloin and Caramelized Raspberry Mille Fuille. In this season of gifting and sharing, Santa Claus will go around with delightful gifts for kids and guests will get to enjoy the feast while listening to the heavenly singing by Christmas Carol on Christmas Eve and Christmas Day. Featuring Steamed Fresh Boston Lobster with Ginger and Scallion Sauce, Pan-Fried Foie Gras, Roasted Turkey, Glazed Ham and a wide selection of Christmas desserts, Café on the 1st offers guests delectable dinner buffet from HKD 688 per adult and HKD 398 per child. Seniors enjoy kid’s prices. Cammino provides an intimate setting for guests looking for a cozy gathering with loved ones. This Italian restaurant offers Christmas Brunch with free flow of sparkling wines, red and white wines or soft drinks from HKD 448 per person during Christmas. 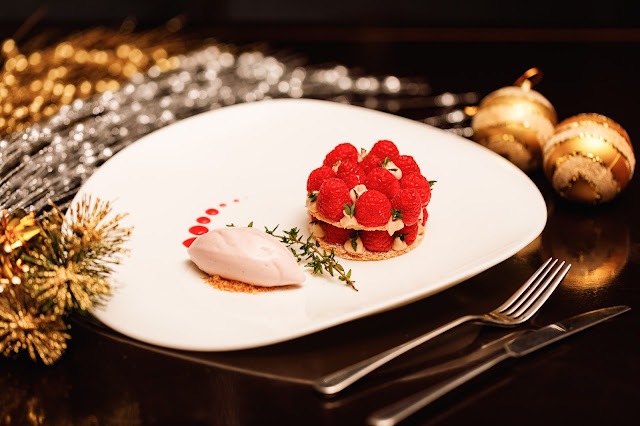 A four-course festive dinner featuring Seared Jumbo Scallop with Caviar, King Crab Meat Tomato Soup, and Slow Roasted Guinea Fowl with Tiger Prawn is also available from HKD 638 per person. Russian DJ Marina will be performing at Dickens Bar New Year’s Eve Countdown Party, bringing edgy house music to the gastro pub. Kick starting the New Year on a high note, guests can enjoy the party from HKD 250 per person. The price includes two glasses of selected beers, house wine, house spirit or soft drinks.